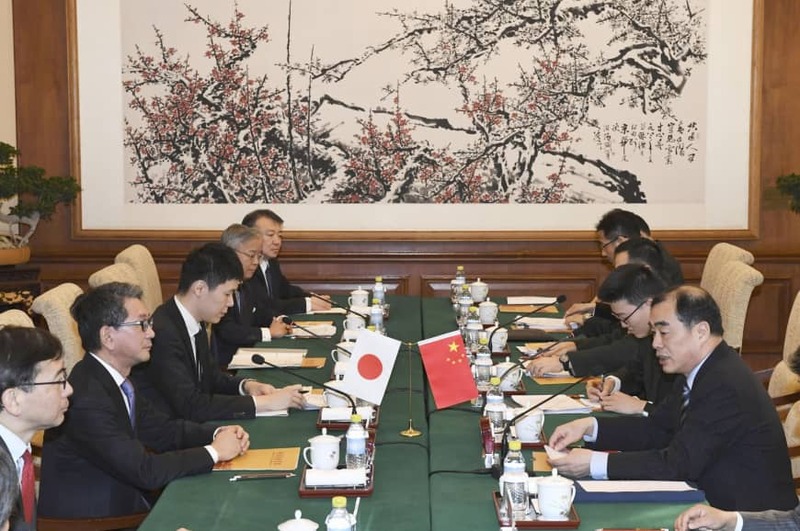 BEIJING - Senior diplomats from Japan and China pledged Friday to try to bolster mutual trust over security affairs, as the two countries remain at odds — despite improved political ties — over a group of East China Sea islands that both claim. 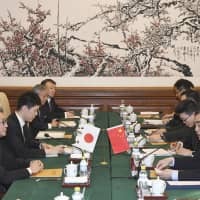 Bilateral security dialogue was held for the first time since Prime Minister Shinzo Abe, at a summit in Beijing in October, asked Chinese President Xi Jinping to improve the situation surrounding the disputed islands. Political ties between the two countries have been improving recently, with 2018 — the 40th anniversary of the signing and entering into force of the bilateral Treaty of Peace and Friendship — serving as an incentive to foster improved links. But the two neighbors are still mired in a territorial dispute over the Senkaku Islands — a group of uninhabited islets controlled by Tokyo but claimed by Beijing and called Diaoyu in China. Strains intensified in particular after Japan’s government — then led by Prime Minister Yoshihiko Noda, Abe’s immediate predecessor — brought the islands under state control in September 2012. Since that time, Chinese coast guard vessels have repeatedly sailed into waters around the islands, sparking concern over the possibility of an unintended clash between Japanese and Chinese vessels. Along with Mori and Kong, senior defense officials from the two countries attended Friday’s meeting. Similar security dialogue was last held in Tokyo in October 2017.